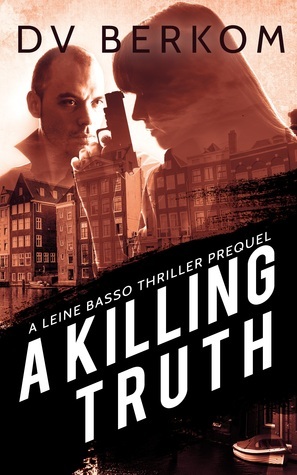 I’ve read four Leine Basso thrillers. Yes, I love them. Actually, I love HER…she’s a sassy, kick-arse, no-nonsense, I’ll-eat-your-balls-for-breakfast type of woman. And at the same time, she’s a mum and a lover, with all the usual ups and downs those things entail. She simply rocks. Now, I have to admit, I’m not that fussed with prequels. Why bother with what’s gone before, if you know what happens afterwards, I’ve always thought. But Berkom is not only a talented writer, she’s a canny one. Throughout each Basso thriller, there are crumbs…tantalising crumbs…of her history as an assassin and her former dead lover. Enough to pique your interest and want to find out what brought her to her present life. A dangerous one. A very dangerous one did. Leine was excellent at her job, so when assignments started not going quite to plan, she began to wonder if her lover (and fellow assassin), Carlos, was right to suspect that their boss might be selling them out. And her own doubts turned to concern…and dread…when Carlos appeared to be completely uncontactable. Berkom’s books are ones when you almost forget to breathe. They’re fast-paced, taut with tension and sheer joy from start to finish. I’m never sadder than when I read those two little words—The End. I can’t get enough of Basso, or of Berkom’s writing, and I'm always left with an enormous problem of what to read next: she’s a hard act to follow. Great review. I love Leine Basso too. Looking forward to reading this one.